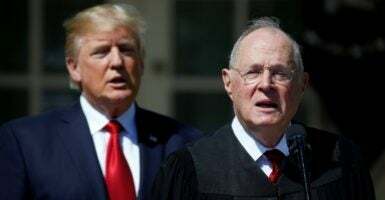 President Donald Trump is expected to announce July 9 his nominee to replace Justice Anthony Kennedy on the Supreme Court. In 2016, Trump put together a list of potential Supreme Court picks during his campaign for president and has amended it twice—bringing the current total to 25 highly qualified conservative individuals. Although the list is brimming with top-notch individuals, there are a few whose names appear to be rising to the top. A look at the judicial records and writings of these men and women reveals insights into their perspectives on a wide array of issues. Amy Barrett is a judge on the 7th Circuit, which hears appeals from Illinois, Indiana, and Wisconsin. Trump nominated her to that judgeship in the spring of 2017 and she was confirmed last October by a 55-43 vote, with Democratic Senators Joe Donnelly (Indiana), Tim Kaine (Virginia), and Joe Manchin (West Virginia) voting for her confirmation. At her confirmation hearing, Senate Democrats chided Barrett for her writings as a law student in 1998 and asked inappropriate questions about her Catholic faith. 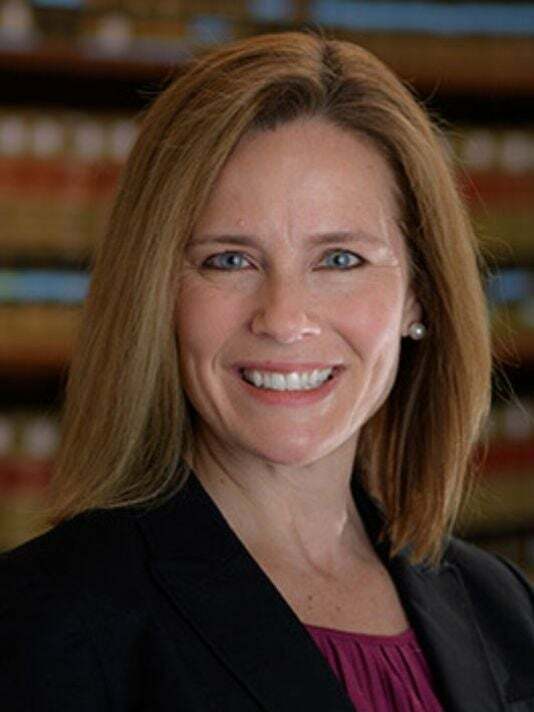 She responded that “It’s never appropriate for a judge to impose that judge’s personal convictions, whether they derive from faith or anywhere else, on the law.” Barrett exhibited grace under fire during her contentious confirmation hearing, and she received robust bipartisan support from the legal community, including from Neal Katyal, a prominent liberal who served as President Barack Obama’s acting solicitor general. 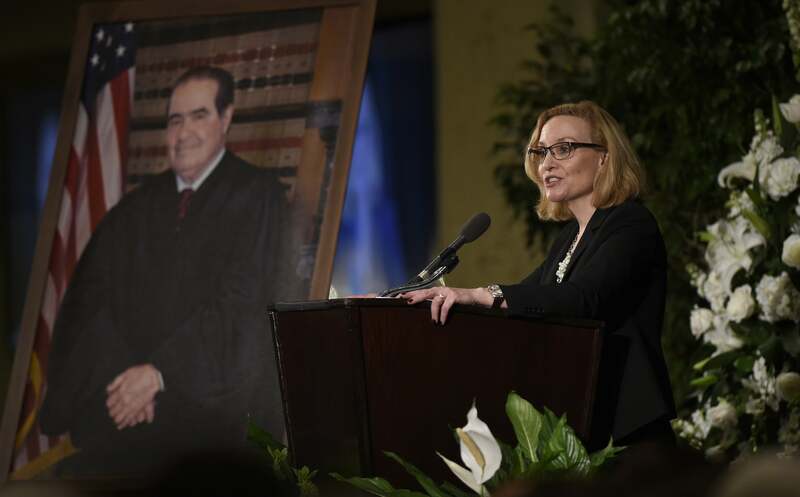 Most of her career has been spent in academia, but following two clerkships, Barrett worked in private practice, where she was part of the team that represented George W. Bush in Bush v. Gore. She briefly taught at George Washington University and the University of Virginia before joining the Notre Dame Law faculty in 2002. She also served on the Advisory Committee for the Federal Rules of Appellate Procedure for six years. [T]he Sixth Amendment was designed ‘to minimize imbalance in the adversary system that otherwise resulted with the creation of a professional prosecuting official.’ …While the Amendment’s protection is not limited to the formal trial, ‘[t]he Court consistently has applied a historical interpretation of the guarantee, and has expanded the constitutional right to counsel only when new contexts appear presenting the same dangers that gave birth initially to the right itself.’… The ‘new contexts’ to which the Court has extended the right invariably involve a confrontation between the defendant and his adversary, be it a prosecutor, the police, or one of their agents. 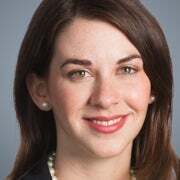 Barrett’s limited judicial opinions and academic writings indicate a commitment to originalism and textualism, much like her former boss, Scalia. 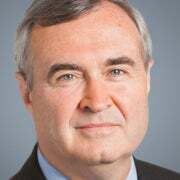 Tom Hardiman is a judge on the 3rd Circuit, which has jurisdiction over Delaware, New Jersey, Pennsylvania, and the U.S. Virgin Islands. Before becoming a judge, Hardiman worked in private law practice for several years at prestigious law firms in Pittsburgh and Washington, D.C. While in private practice, he represented (on a pro bono basis) and successfully defended Allegheny County, Pennsylvania against a lawsuit filed by a group of atheists who objected to the county’s display of a Ten Commandments plaque on the side of the county courthouse. 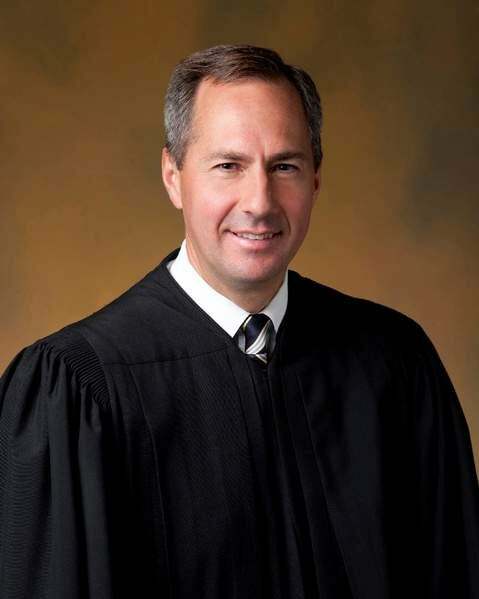 In 2003, President George W. Bush nominated Hardiman to a seat on the U.S. District Court in Pittsburgh, and in September 2006, Bush nominated Hardiman to the Third Circuit. He was confirmed by the Democratic-controlled Senate 95-0 — a rare feat for nominees during Bush’s presidency. Hardiman was widely reported to be the “runner up” to Neil Gorsuch for Trump’s first Supreme Court pick. This is perhaps due in part to Hardiman’s close relationship with the president’s sister, Judge Maryanne Trump Barry, who also serves on the 3rd Circuit. Hardiman has heard hundreds of appeals and produced noteworthy opinions dealing with the Second Amendment, prisoner’s rights, and religious freedom. In 2013 in Drake v. Filko, Hardiman dissented from the court’s ruling upholding a New Jersey law requiring those seeking a permit to carry a handgun to demonstrate a “justifiable need.” Hardiman argued that under the Supreme Court’s 2008 opinion in District of Columbia v. Heller, the Second Amendment extends beyond the home and encompasses an inherent right to self-defense. In 2010, Hardiman wrote an opinion in Florence v. Board of Chosen Freeholders upholding the constitutionality of a Pennsylvania jail’s policy of strip searching all detainees regardless of how minor an offense they were arrested for, which was affirmed by the Supreme Court. In 2016, however, Hardiman ruled in favor of a challenge filed by a prisoner in Robinson v. Superintendent, . In 2009, in Busch v. Marple Newtown School District, Hardiman wrote a dissenting opinion arguing that an Evangelical Christian mother should not have been denied the opportunity to read from the Bible during a show-and-tell session at her child’s kindergarten. In 2010, in Kelly v. Borough of Carlisle, Hardiman wrote the majority opinion in favor of a police officer holding that he was immune from a civil suit that had been filed against him because at the time of the conduct in question, there was no clearly established First Amendment right to videotape police officers during traffic stops. In addition to a solid record of judicial service, Hardiman also has a compelling personal story—he was the first in his family to attend college and he drove a taxi to support himself during college and law school. On the bench, Kavanaugh has written scores of opinions, including PHH Corp. v. Consumer Financial Protection Bureau (2016), finding the Consumer Financial Protection Bureau’s structure is unconstitutional (later reversed by the full D.C. Circuit). He dissented from his court’s ruling that the Environmental Protection Agency could disregard cost-benefit analysis when considering a proposed rule in Coalition for Responsible Regulation v. EPA (2012). The Supreme Court later reversed that decision, citing Kavanaugh’s dissenting opinion. 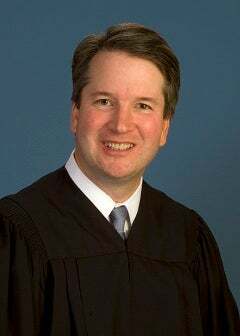 In Loving v. IRS (2013), Kavanaugh ruled that the IRS exceeded its statutory authority when it attempted to regulate tax preparers. And in al-Bahlul v. U.S. (2015), Kavanaugh joined the per curiam (unsigned) en banc opinion, affirming Ali Hamza al-Bahlul’s conviction by a military commission for conspiracy to commit war crimes. Raymond Kethledge serves as a judge on the 6th Circuit, which hears appeals from Kentucky, Michigan, Ohio, and Tennessee. President George W. Bush nominated him to the 6th Circuit in 2006. His confirmation was delayed for nearly two years because both of Michigan’s Democratic senators pressed Bush to nominate Helene White (originally a Clinton nominee) to fill a second vacancy on that court. 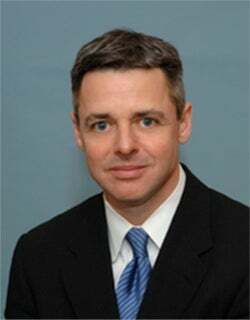 After Bush agreed to nominate White, Kethledge was confirmed by a voice vote without opposition. In 2016 in Tyler v. Hillsdale County Sheriff’s Department, Kethledge joined a concurring opinion in which the court held that a federal statute that permanently stripped the Second Amendment rights of an individual who had been involuntarily committed 28 years beforehand was unconstitutional. Kethledge’s record shows a commitment to textualism and even in the dullest of cases, his opinions are delightful to read. Joan Larsen is a judge on the 6th Circuit. Trump nominated her in May of 2017 and she was initially blocked by Michigan’s Democratic Sens. Debbie Stabenow and Gary Peters. Eventually, her nomination advanced in the Senate and she was confirmed by a 60-38, with the two Michigan Democrats and Democratic Sens. Tom Carper (Delaware), Joe Donnelly (Indiana), Heidi Heitkamp (North Dakota), Joe Manchin (West Virginia), Bill Nelson (Florida), and Mark Warner (Virginia) voting in her favor. Earlier in her career, Larsen worked in private practice in Washington. She also served as deputy assistant attorney general in the Justice Department’s Office of Legal Counsel when the so-called “Torture Memos” were written. She did not contribute to those memos but co-authored a still-classified memo on detainees’ ability to challenge their detentions. She spent the next twelve years as a lecturer at the University of Michigan School of Law, where she taught constitutional law, criminal procedure, and presidential power. Gov. Rick Snyder, a Republican, appointed her to the Michigan Supreme Court in 2015 after a justice stepped down. Larsen ran for election the next year to finish the remainder of her predecessor’s term, and she won 58 percent of the vote. She wrote a 2004 law review article in which she criticized the use of foreign and international law in interpreting our Constitution. She co-authored a 1994 law review article discussing how the unwritten traditions of the Constitution’s Incompatibility Clause, which limits members of Congress’ and senators’ ability to simultaneously serve in the executive branch, has strengthened the executive. She wrote a 2010 law review article arguing that modern juries are inconsistent under the original meaning of the Constitution. Her judicial record is thin compared to the majority of the other potential nominees. While on the Michigan Supreme Court, she wrote six opinions, including In re Hicks (2017), vacating a district court’s order terminating the parental rights of an intellectually disabled woman. She also wrote the majority in Yono v. Department of Transportation (2016), finding the state of Michigan was immune from suit under a state tort law for an injury that occurred in a parallel parking lane on a highway. Since joining the federal bench, Larsen has written 11 unpublished opinions, which are opinions that do not appear in the Federal Reporter and typically have no precedential value. These includes cases dealing with the sentencing guidelines, removal of aliens by the Board of Immigration Appeals, a couple cases involving the termination of disability benefits, and a landlord-tenant dispute. Amul Thapar was Trump’s second judicial nominee following the appointment of Neil Gorsuch to the Supreme Court. Last May, the Senate confirmed Thapar to the 6th Circuit on party lines, by a vote of 52-44 (4 Democrats did not vote). Before ascending to the appeals court, he spent nearly a decade as a trial judge on the Eastern District of Kentucky. President George W. Bush nominated Thapar to that judgeship in May 2007, and he was confirmed by a voice vote in December 2007, making him the first South Asian-American federal judge and one of the youngest in the entire federal judiciary. He also volunteered to hear immigration cases during a judicial emergency in the Southern District of Texas. Before joining the federal court, he served as an assistant U.S. attorney in the District of Columbia and in the Southern District of Ohio and later as the U.S. attorney for the Eastern District of Kentucky. He also worked in private practice in Washington, D.C., and Cincinnati, Ohio and served as general counsel for Equalfooting.com, a business-to-business online marketplace. Thapar appears to be a committed textualist. In Freeland v. Liberty Mut. Fire Ins. Co. (2011), Thapar remanded a diversity case back to state court because it was “exactly one penny short of the jurisdictional minimum of the federal courts.” While admitting that this result was “painfully inefficient,” he said that “[t]he words [amount] ‘in controversy’ have to mean something” and that the statute’s text left no other choice. In terms of the First Amendment, Thapar joined the majority opinion (along with Kethledge) in Bormuth v. Jackson holding that a county board’s practice of opening public meetings with a prayer by a county commissioner did not violate the Establishment Clause. And in one of his more controversial decisions on the district court, Thapar ruled in Winter v. Wolnitzek (2016) that a number of Kentucky’s judicial conduct rules prohibiting judges from making campaign contributions to others, campaigning as a member of a political organization, and making speeches for or against political organizations were unconstitutional. Thapar explained “there is simply no difference between ‘saying’ that one supports an organization by using words and ‘saying’ that one supports an organization by donating money. Put more plainly, if a candidate can speak the words ‘I support the Democratic Party,’ then he must likewise be allowed to put his money where his mouth is.” The 6th Circuit praised Thapar’s “thorough and thoughtful opinion,” while overruling the portion of his opinion regarding campaign contributions. Although he spent much of his career as a federal prosecutor, as a district court judge Thapar has on occasion ruled in favor of criminal defendants. For example, in U.S. v. Sydnor (2017), Thapar excluded inculpatory statements made by the accused that were obtained before he was given his Miranda warnings, and in U.S. v. Lee (2012), Thapar suppressed evidence that was obtained after the police tracked the defendant using a GPS tracking device without first obtaining a warrant. And as an appellate judge, he wrote an opinion in United States v. Perkins (2018), affirming the trial judge’s motion to suppress evidence police obtained in a drug investigation based on an anticipatory warrant where the triggering event never happened. He wrote that the government’s interpretation (which made the triggering event irrelevant to the warrant) “lacks common sense,” “runs afoul of the Fourth Amendment,” and is not simply a “hypertechnicality” the court should overlook. Of the judges Trump has appointed so far, Thapar has the most extensive record of judicial service, covering a range of issues from the criminal justice system to the First Amendment. He also has close ties to Senate Majority Leader Mitch McConnell, R-Ky., and rumor has it Trump interviewed Thapar for the Supreme Court seat that ultimately went to Gorsuch. Last week, Trump told reporters, “Outside of war and peace…the most important decision you make is the selection of a Supreme Court judge.” He’s absolutely right to take this decision seriously. Judicial appointments are one of the longest-lasting legacies for a president– with judges serving decades beyond that president’s four- or eight-year term. And the selection of Kennedy’s successor could affect the balance of the Court for years to come. The 25 “short listers”—including those profiled above—all would be great additions to the Supreme Court, and we’ll know in the next week whom Trump will pick.